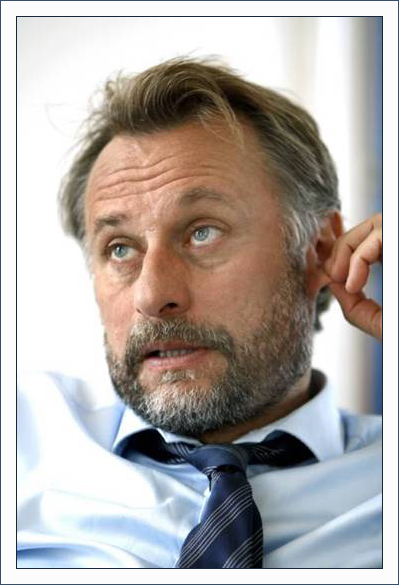 Roger Wilson of Swedish Radio recently mentioned Michael when discussing HUNTER KILLER - "Michael Nyqvist plays a Russian officer who is rescued from his sunken craft by an American u-boat. He ends up in the middle of what is developing into a Russian military coup and has to decide who to trust and which side he should support in the intricate and dramatic situation he has ended up in. His role is small but important. He has an intense presence every time he is on screen. It's as if he's in a different movie than everyone else. While the rest of the actors are in a generic action movie, he stands there and knows. Absorbs the feelings - confused, desperate, suspicious." How true! He's always had this magnificent screen presence. In this photo, it almost appears as though he's saying goodbye as he makes his way to the angelic heavens. 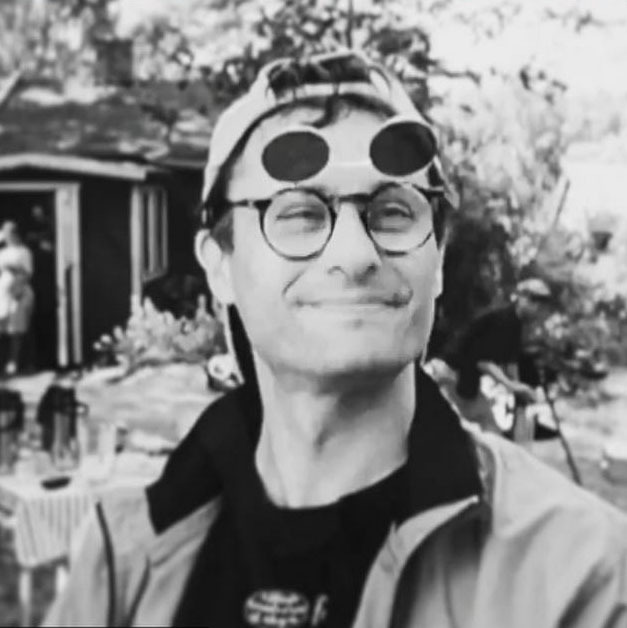 Last month when I posted a film page for VERANDA FÖR EN TENOR (1998), I indicated that I had no photo of Michael in his role as a film director. However, I just stumbled across this one. Don't you just love this photo! Look at the expression on Michael's face as he makes friends with this baby. The little one is the son of Andrea Eckerbom, a friend of Michael's who works in casting for the film industry. 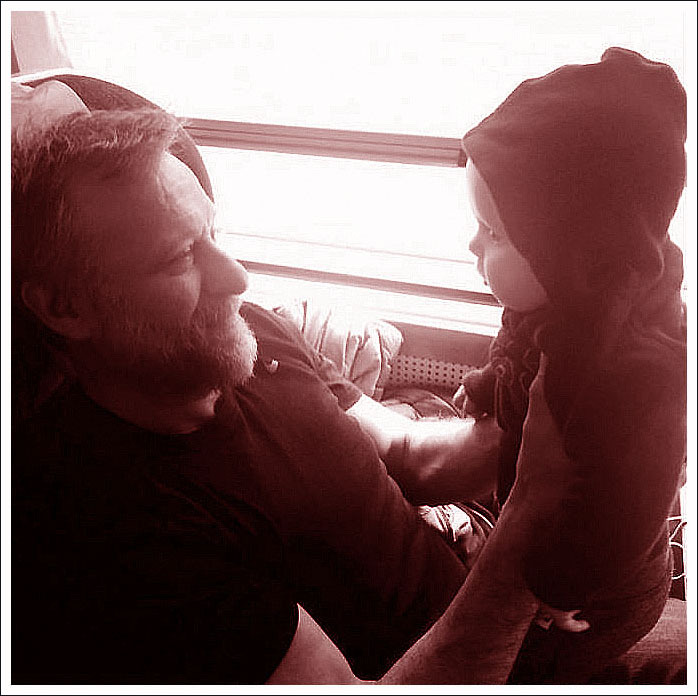 I would guess that this photo was taken four or five years ago considering how old the child is today. 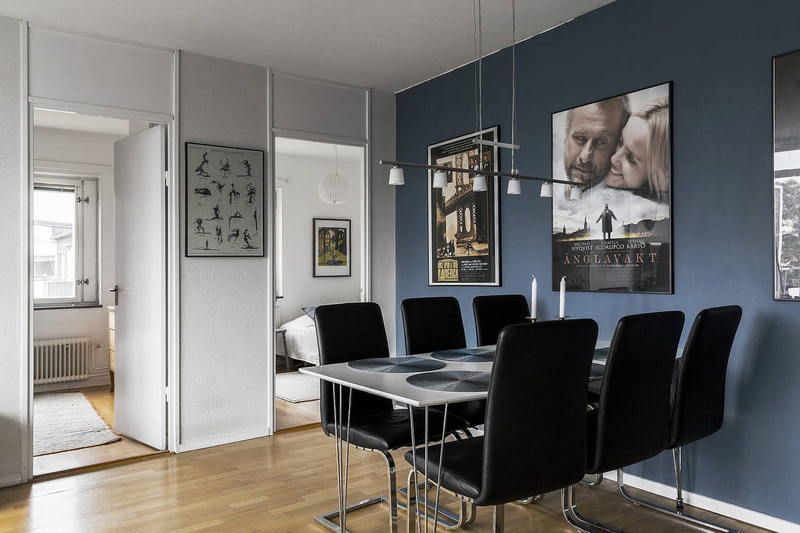 I think Michael would be very pleased to see that Stockholm's Bosthlm Home Styling believes the poster of his film, ANGLAVAKT, is worthy of gracing the walls of a dining room. I would agree. When Izabella Scorupco and Michael were cast as a married couple in the film, it was the perfect match and audiences could feel the chemistry between the pair. Michael told the press in May 2009, "Isabella is a wonderful person with absurd humor and enormous presence on screen. I am one of millions of men who are in love with her." 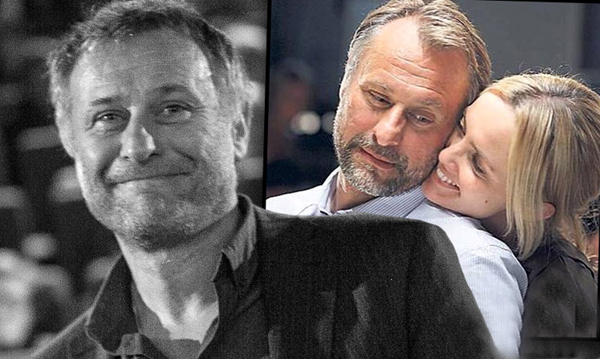 She responded, "That Michael is a fantastic actor I knew, but now I also know that he is a wonderful person." In this photo Michael joins Izabella at the launch of Micael Bindefeld's book, "My Garden is a Party", in April 2014.